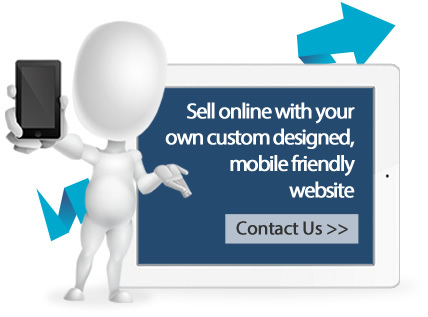 We can create ecommerce websites to meet all budgets and requirements. Any package can be personally tailored to meet your exact requirements so please feel free to give us a call on 020 3544 8132 or email info@my-ecommerce.co.uk. We work in stages to ensure you are involved throughout our design process. Your ecommerce website is important to us and we listen, research, design and develop to ensure your online store is perfect for your business. What’s more, all of our e-commerce websites are now completely Mobile Friendly so your customers can buy from you from their desktop computer, mobile phone or even a tablet! From as little as £1500 we can design and develop your perfect ecommerce website. Using Magento or WooCommerce we can create the ideal shopping cart website for your business, allowing you to sell an unlimited number of products online with an easy to use Content Management System. This gives you the freedom to manage your online store from anywhere in the world at the click of a button. So you don’t need a full shopping cart system, but you need a simple way to sell online. We can design and develop an easy to use brochure website which will allow your potential customers to view your products and services online and then use a simple PayPal Buy Now button to buy from you at a click of a button – it couldn’t be easier! Do you have a service to sell? Look no further, we can develop a range of booking systems to make it easy to increase your business online with an easy to use content management system. Take payments online or even just manage bookings, it can all be done through your own mobile friendly website. Do you only have one product to sell but really want to make the most of our online marketing and online sales? We can design a stunning website that will showcase your product online, creating an amazing user experience to give your potential customers all the information they could ever need with the option to buy. If the above packages do not fit with your requirements then fear not, we would love to discuss your project with you and put together the perfect package to meet all of your requirements. Just give us a call on 0203 713 4685 or email info@my-ecommerce.co.uk today. Contact the My Ecommerce design team today to discuss your project on 0203 713 4685 or email us on info@my-ecommerce.co.uk.